We are looking forward to receiving the Wazzup Singers during the Ubuntu Winter Festival Edition. Come to the Dierenpark Amersfoort zoo on 27th, 28th and 30th December and enjoy the warm winter wonderland ambiance. 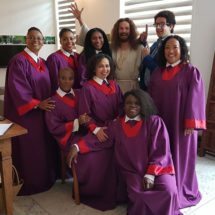 During your magical evening time journey, you will be enchanted by the soulful gospel sounds of the Wazzup Singers. 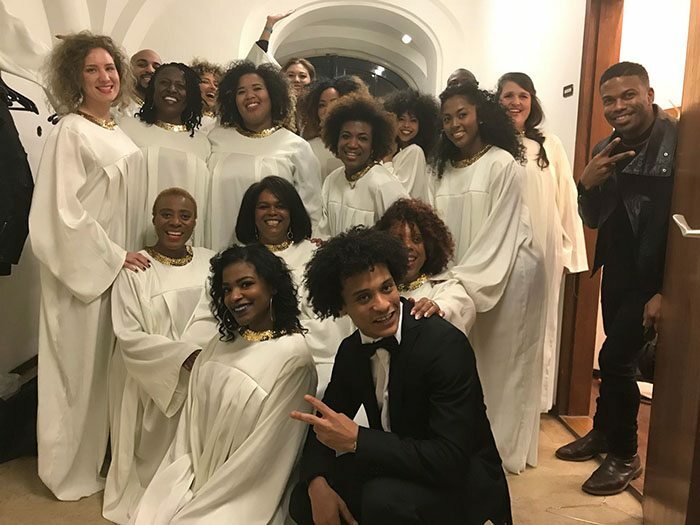 PVH Europe celebrated their Xmas Party with a gospel choir designed by Obsession Events, Crudon Productions and Talent Invested. PVH Europe, is the largest apparel company in the world. They manage top end designer brands such as Tommy Hilfiger and Calvin Klein. During their yearly Christmas event, their staff were treated to music, live entertainment and dance shows. I would like to thank you all very much for your contribution to the BimRay Gospel Festival last Saturday, December 2 in Johan Cruijff Arena previously known as Amsterdam Arena. Thanks to your excellent opening act the Gospel music event was a great success. We hope you enjoyed it too! Wazzup Singers are performing at Omroep Max – a Dutch television broadcasting company dedicated for young minded people over 50. Singing together with Brandon Delangraentiss the black gospel music group shall give a short impression of the Bimray gospel festival. See below the line-up. And many more known and unknown gospel choirs and acts. The Gospel Festival is powered by Bimray. And on the December 2 in the Johan Cruijff Arena previously the Amsterdam ArenA Convention Center. Purchase your entry ticket on the door (if the concert is not fully booked) for as little as 25 euros exclusive service charge. Theater de Omval is proud to present MDM Jazz Orchestra during a sneak preview of the upcoming festival at the Diemenplein. Sunday 3rd June 2018 is the 5th edition of Diemen’s FREE jazz festival “Duke op het Diemerplein”. What’s more this music festivity promises to be extra special with many fantastic artists, surprising acts and culinary delights from Smakelijk Diemen ‘food festival’. You’ll be able to savour many flavours, enjoy delicious refreshments and other beverages throughout the festival. Basically, the preparations are in full swing. Secondly, Duke op het Diemerplein festival has gained great acclaim as the newest jazz festival in Diemen. The festival is sponsored by Diemen council and the retailers’ association at Diemerplein shopping Centre. Additionally, there are countless amount of individual sponsors and friends who contribute to the resounding success of the FREE jazz festival. Their support plays a vital part of the continuous growth of Duke op het Diemerplein. Duke op het Diemerplein jazz festival is now synonymous with showcasing musicians from Diemen, new upcoming talent and renowned jazz artists such as Ramón Valle Trio. Duke op het Diemerplein has an established fan base and sponsors. Likewise, new members are encouraged to join via Facebook. The organisation strives to keep the entry to the jazz festival FREE. Therefore, all donations and new sponsors are always welcomed. Invited friends and sponsors shall enjoy a presentation of a few jazz acts on the line-up of Duke op het Diemerplein 2018. Theater de Omval is going to host the event. On behalf of DaarOm Diemen, Deputy Mayor Jeroen Klaasse will declare the start of the event open. See you there! From whirlwind to total value of work done! 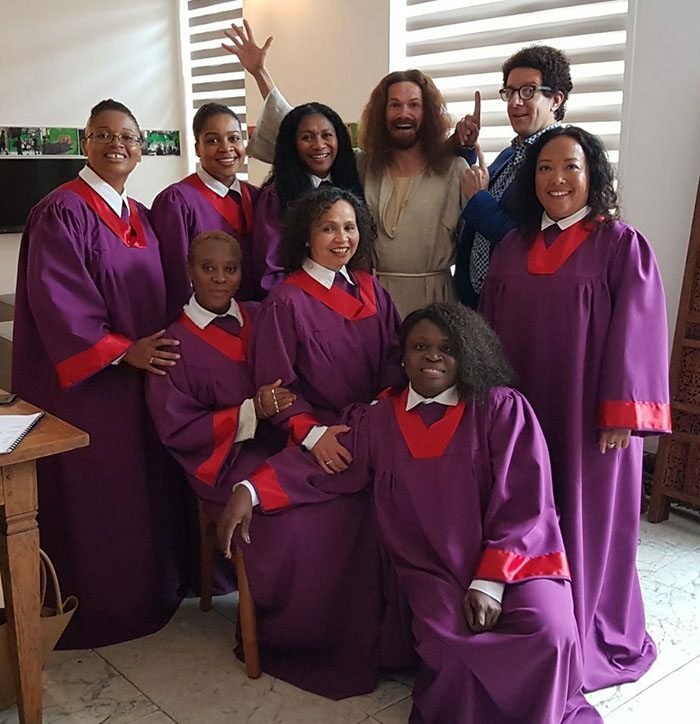 NPO 3 – in Hilversum, broadcasts Clover Jean gospel choir performing the world famous black gospel hit “Oh Happy Day”. In collaboration with Evenses Entertainment the choir were chosen to sing the song during the TV program “Oh, Mijn Hemel”. The famous Dutch actor Alex Klassen will present this happy fast paced comedy show about world religions. Valeria and Joeri are a charming international couple. The bride is Italian, and the groom is Dutch. They live in Amsterdam. This down to earth and passionate pair love life and are inseparable. 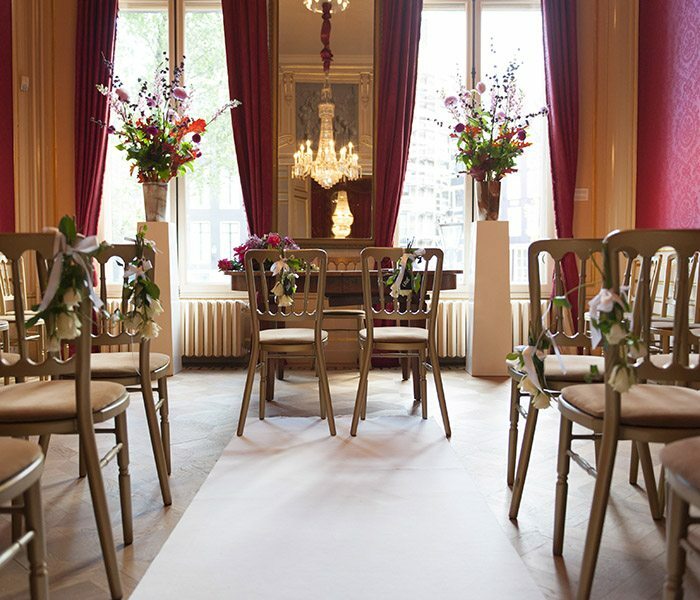 Their small intimate wedding day echoed the importance of a close-knit family, their special bond and ceremonial love songs. They wanted to keep it personable and exciting. 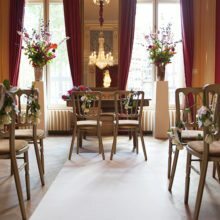 The focus was the joining of two unique families and creating a special welcoming ambiance for everyone. During the MBO staff party at the Leer Hotel Het Kooster in Amersfoort, Lakei Jeanette, together with Lakei Robèrt, will provide entertainment. The guests will be received and greeted in traditional butler style.